When a marriage headed for divorce ends in homicide, no alibi can clear the surviving spouse. But the right attorney just might. 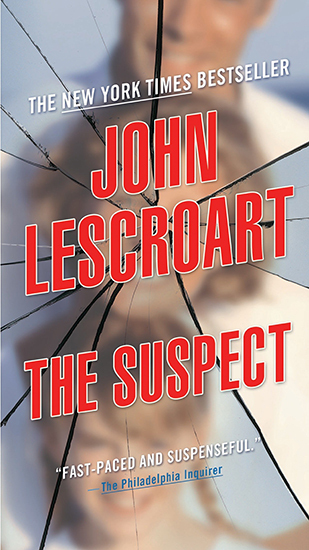 From New York Times bestselling author John Lescroart comes a masterful novel of family secrets, of love and lies, and crime and justice. Dr. Caryn Dryden is found floating dead in her hot tub, and homicide inspector Devin Juhle targets a suspect close to home: her husband, Stuart Gorman. After all, Caryn recently asked for a divorce … and Stuart stands to gain millions in insurance. His alibi-that he was at his cabin on Echo Lake that weekend-doesn’t keep him out of hot water. But maybe a shrewd attorney will. Gina Roake, a partner in Dismas Hardy’s firm, is eager to take on such a high-profile case, especially when the client’s innocence seems so easy to prove. Yet the more time she spends with Stuart, the more complicated her feelings become; she feels strangely drawn to him at first, then has to confront the possibility of a dark history lurking in his past. Desperate to know the truth, Gina calls in Wyatt Hunt to investigate. But as the damning facts accumulate, and as the rabid press concludes that Stuart is guilty, Gina must face the possibility that Stuart may not find mercy in the courtroom either. Racing to a stunning conclusion as Gina uncovers disturbing answers, John Lescroart crafts an emotionally stirring story where the aspirations of the human heart must grapple with uncertain justice.